Ela Gandhi, granddaughter of Mahatma Gandhi, has been honoured for lifetime activism in South Africa. 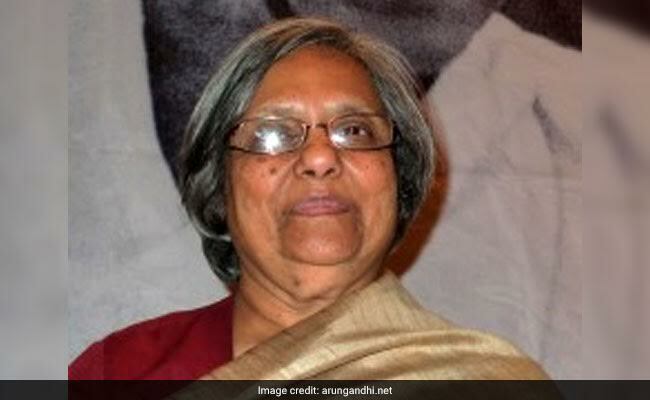 Johannesburg: Mahatma Gandhi's granddaughter Ela Gandhi has been honoured for lifetime activism at the 70th anniversary of the 1946 'Indian Passive Resistance Campaign' in South Africa. The event held in Durban was celebrated with a special tree-planting ceremony at the Freedom Park, a memorial to honour those who sacrificed their lives to win freedom. Over 70 of the oldest alumni of Sastri College, named after its founder, the first agent for the government of India to South Africa Srinivasa Sastri, gathered at the adjacent Freedom Park to watch 90-year-old Dhaniram Moolchund planting the first tree to honour the protesters. Thousands of men and women had defied the government and police intervention in 1947 to protest against the apartheid government's 'Ghetto Bill' by staying in the park. The Bill was designed to prevent Indians from buying land or property from other race groups as part of the implementation of the draconian separate developmental polices of uprooting people and forcibly resettling them in townships which were segregated by race. Habi Singh, the Chairman of the alumni body of Sastri College said they would work with the local municipality to make Freedom Park a tourist attraction to remember the resistance to the apartheid. During his tenure in South Africa from 1922 to 1929, Srinivasa Sastri convinced the local Indian community that their future lay in ensuring education for their children, leading to the opening of the college in October 1929 by Governor General of South Africa Alexander Cambridge. Cambridge described the construction of Sastri College with community funds as "a fine example of personal effort by individuals for the good of the community", according to the website SA History.